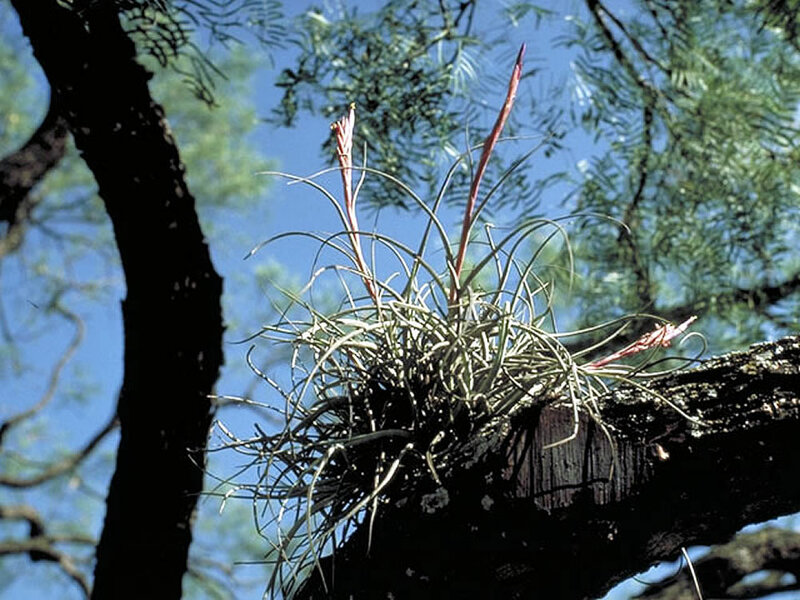 Distribution and habitat: Tillandsia recurvata is indigenous to the warmer regions of the Americas; it ranges from the southern United States to northern Argentina and Chile. The northernmost limit of its natural occurrence is coastal Georgia, although it has been introduced into coastal South Carolina on landscaping trees. It has been reported in nature from Georgia, Florida, Louisiana, Texas, Arizona, Mexico, most of Central and South America and many of the islands in the West Indies. The epithet recurvata is derived from the way the leaves tend to curl back (recurved leaves). Description: Tillandsia recurvata is gray-green with scaly, recurved, linear leaves 5-15cm (2-6 inch) long. The leaves occur in two ranks on opposite sides of the steam. The overlapping scales which cover the steams and leaves absorb water when they are wet (rain or fog). The scales are also responsible for the relative tolerance of cold weather of this species. They tends to form a spheroid ranging in size from a golf ball to a soccer ball. In autumn they produce 15cm (6 inch) erect spikes with one to seven funnel-shaped, 1cm (0.5 inch) long flowers with pale blue or violet petals and gray-scaly bracts at their bases. After flowering, produce club like greenish-brown seed capsules. Most seedlings germinate on tiny branches and less often on vertical bark of tree hosts, which has been suggested to indicate that local spread of Tillandsia recurvata is mainly by seeds sprouting from bird droppings on stems of shrubs and trees. Rival authorities suggest that wind is the main agent of seed dispersal. 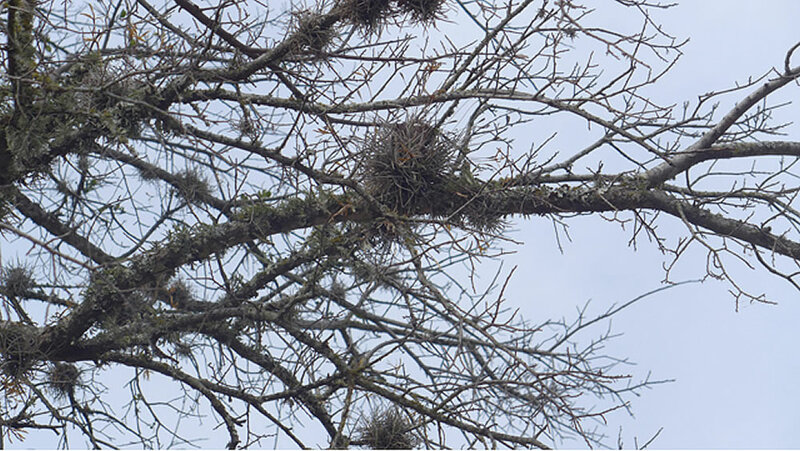 Mature seeds have no apparent adhesive on the exterior and very little nutrient supply to support sprouting, but, like many other epiphyte seeds, they are borne plentifully and are armed with fine, straight hairs that could well adhere to wet or clinging surfaces such as rough bark. 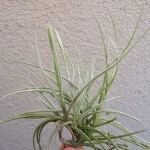 Tillandsia recurvata does not have roots. 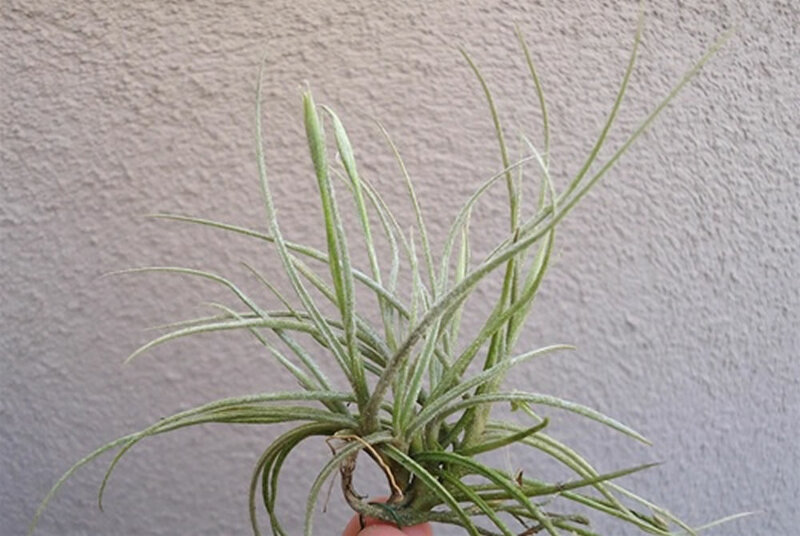 Houseplant care: Tillandsia recurvata is an easy to grow and prolific plant. They are very common in the commercial houseplant trade and are often decoratively attached to pieces of rock or driftwood. Light: Tillandsia recurvata used as house plants do best in bright filtered light (a translucent blind is a useful filter). The Tillansia recurvata with its white scales can better handle sunlight than Tillansia species with the smooth shiny leaves. Leave outside in the rain during the summer and bring indoors when temperatures start falling below freezing. When moving plants outdoors, gradually accustom them to increased light levels and never place them where they must endure the midday sun. When shifted to bright light too quickly, their leaves can sunburn. Temperature: Room temperature ranging from 10 to 32°C (50-90°F) are fine for Tillandsia recurvata. These plant will adapt well to dry atmosphere by becoming dormant, but thrives when is spray mist. They appreciate fresh air movement, so moving plant outdoor when the temperature allows is beneficial. Watering: Soak Tillandsia recurvata (fully submerged) once a week during active growing season for 30 minutes to an hour, then shake them and allow to almost completely dry before replacing them in any kind of enclosure. The water should be dried in 4 hours. Do not use distilled water or softened water. Filtered water, tap water that has sat long enough for the chlorine to dissipate, bottled water are fine. Pond water, aquarium or rain water are all preferred. Water sparingly during the winter. During the holidays, to leave alone the plant unattended for over two weeks, soak Tillandsia recurvata in water for 12 hours before going in holiday and again for 12 after returning from holiday. Feeding: Tillandsia recurvata does not require fertilising. However, an occasional dilute solution of foliar fertiliser applied during the growing season will speed up the growth. 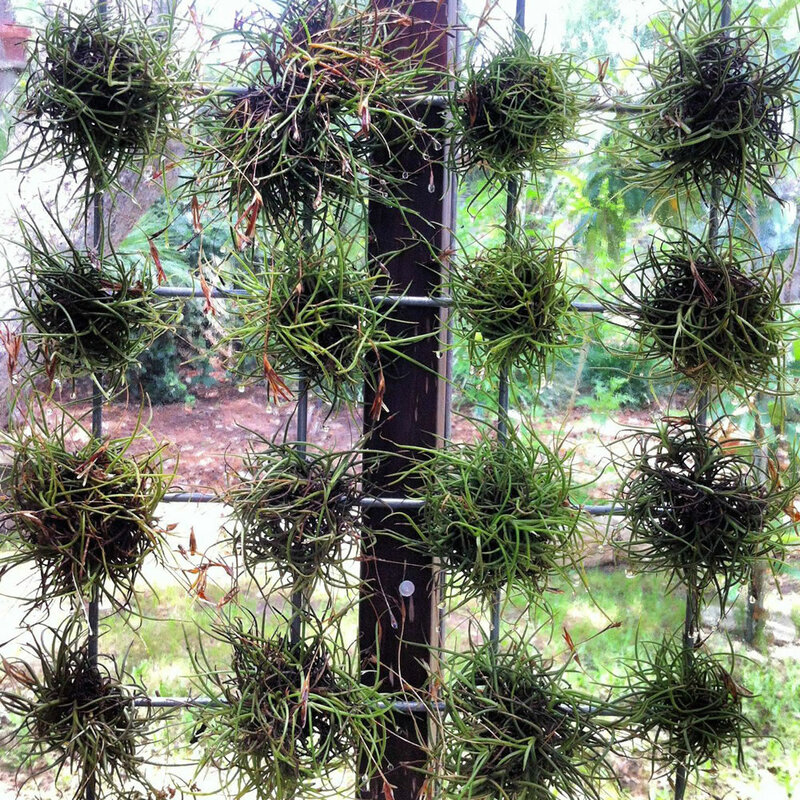 Mounting: Hang a portion up with a wire and Tillandsia recurvata will form a cool-looking ball-shaped cluster. 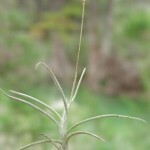 Gardening: Tillandsia recurvata is relatively cold-tolerant species, but is sensitive to freezing, particularly when moist. It can tolerate temperatures as low as minus 6°C (20°F). Location: Tillandsia recurvata grows well in areas with low light, little airflow and high humidity, which is commonly provided by southern shade trees, often the Quercus virginiana (Southern Live Oak). It can grow in full sun but is happiest under a tree canopy. Irrigation: Tillandsia recurvata absorbs water from rain and can tolerate dry periods by becoming dormant. 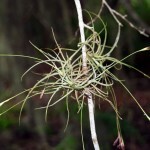 Tillandsia recurvata , like other bromeliads, is sensitive to lime. Irrigate with rain water or water that has been demineralized. To get the water where it needs to be, in the leaf axils and on the stems, use a sprayer or mister. Fertilising: An occasional mist with quarter strength of foliar fertiliser applied during the growing season will speed up the growth. Propagation: In nature, Tillandsia recurvata is propagating by seed. The dispersed tiny seeds that land on a tree branch, stick fast and develop root-like attachments to the bark. 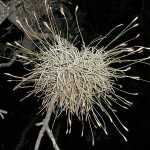 Tillandsia recurvata, as ornamental plant, is propagate by dividing the balls. Clumps can be pulled apart to start new plants. 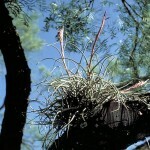 Tillandsia recurvata is especially sensitive to lime, use pond water, aquarium or rain water ( low pH ) water for watering. Filtered water, tap water that has sat long enough for the chlorine to dissipate, bottled water are fine. Do not plant Tillandsia recurvata in soil and do not allow them to stay wet for long time as they are prone to root. Note: Tillandsia recurvata is a flowering plant that grows upon larger host plants. It derives mainly physical support and not nutrition from its host; it photosynthesizes its own food. It gets water and nutrients from the rain, atmosphere and dust. 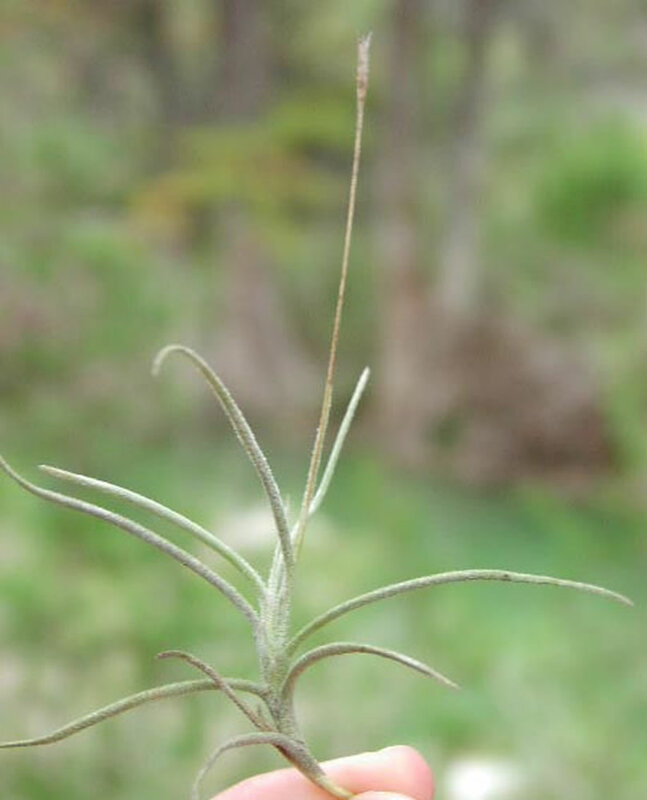 Tillandsia recurvata is a nitrogen fixer, meaning that it is able to convert atmospheric nitrogen (which is unusable to plants, except by legumes) into a form that plants can use. 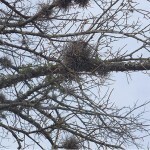 Though not a harmful parasite in the same sense as plants such as mistletoes that feed on the sap of the host, Ball Moss may compete with a host tree for sunlight and some nutrients and by restricting available surface area for new branch sprouts; however, except on stressed host trees (e.g., in some urban settings) it rarely has a noticeable effect on growth or health. When Tillandsia recurvata ball falls to the ground, it actually fertilizes the soil for other plants. 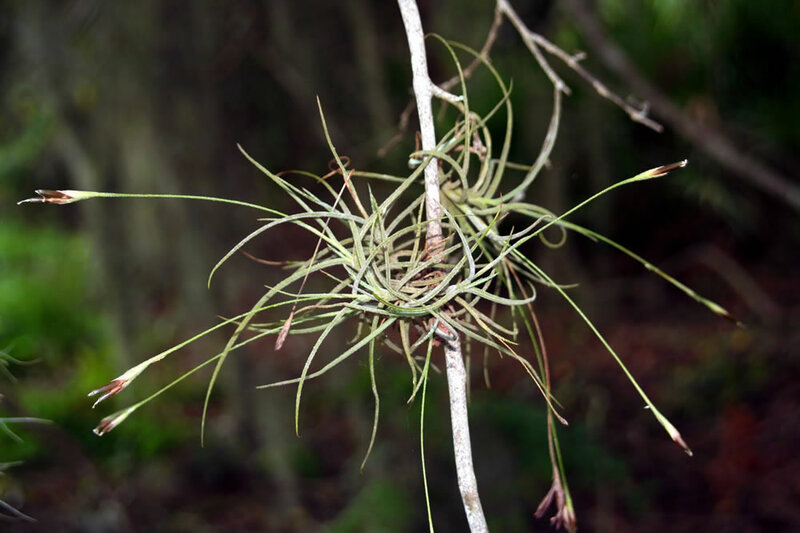 Despite their common name, the ‘ball mosses’ are not really mosses; Tillandsia recurvata are actually perennial flowering plants in the Bromeliad family and are closely related to Ananas comosus (Pineapples) and Tillandsia usneoides (Spanish moss). 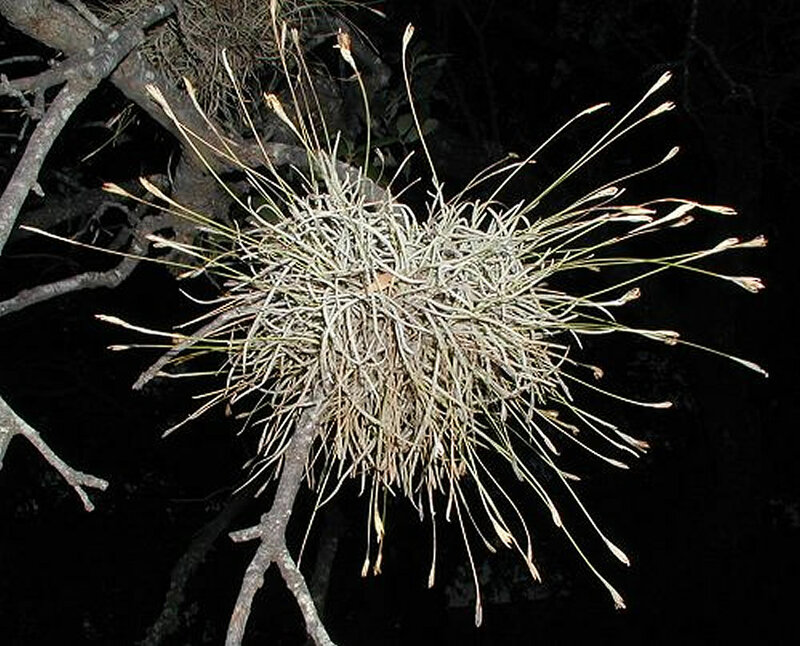 Tillandsia recurvata is the only epiphyte that regularly lives on telephone wires. 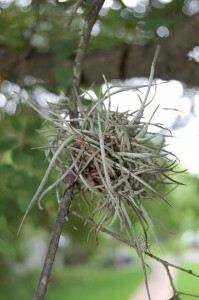 Clumps of Tillandsia usneoides (Spanish Moss) sometimes land on wires, but they do not survive. Uses and display: Tillandsia recurvata can be grown like other bromeliads or orchids, tied to a decorative piece of wood or tree bark or in an orchid basket. Also, they are used as slow-growing decorative plants for terrestrial terrariums.